Recognition of the work that employees do is essential and is becoming even more essential in today’s workplaces. 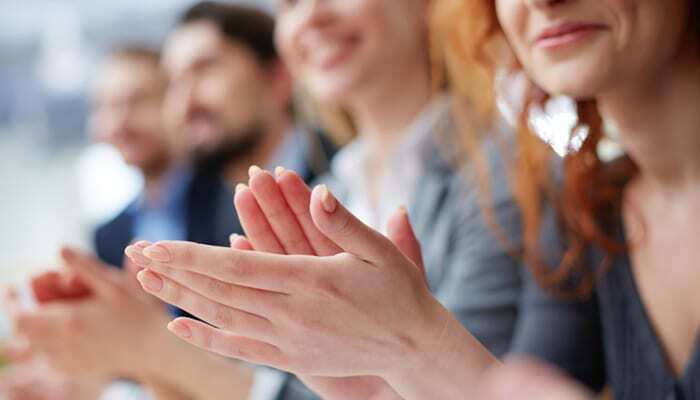 If you have been given the task of developing your organisation’s employee recognition strategy, here are some tips, courtesy of Saira Gangji from Elevated HR, – shout out to Muni Boga VP at Kudos, on how best to recognise your employees. 1. Be Genuine: Recognition means the most when it is heart-felt and genuine. Be thoughtful about how you recognise anybody. 2. Be Timely: Recognise both employees and teams for their achievements and accomplishments in a timely manner. This helps to build and sustain enthusiasm, loyalty and engagement. Recognition has the greatest potential for impact when it is timely – employees will remember what they did and will strive to repeat it. 3. Be Specific: Recognition is more meaningful if you recognise the specific contributions of employees and the value their accomplishments created. Saying ‘thanks for your great work’ is a good start, but it is equally important to explain precisely what the employee did that was great, why it was great, and its impact. This approach becomes your recipe for helping your employees to achieve greatness more frequently. 4. Be Focused: Avoid lumping employee recognition together and avoid giving it simultaneously. Whenever possible, recognise one employee or one team at a time, so that your recognition feels personal, special and memorable. 5. Be Calibrated: Ensure the amount and type of recognition is calibrated to the behaviour you are recognising. It is vital to thank people for the simple things and to celebrate the big moments and wins. 6. Be Mindful: Different employees like to receive recognition in different ways. For some, receiving public recognition is great. For others, public recognition is a nightmare. Take a moment to understand and ask your employees and teams how they like to be appreciated and recognised so that you can personalise recognition to meet their style. 7. Be Aligned: Recognition programs should be aligned to an organisation’s culture, values and goals. While some of the newer peer-to-peer social recognition systems are great for aligning core values and culture to each message, you should also remember this when giving recognition in person. 8. Be Regular: Embed recognition into your daily culture and empower everyone to be a part of it. Make recognition something that is regular, shared and a priority. 9. Be Inclusive: Recognising individuals and teams is important, but be sure not to miss anyone out. Pay careful attention to each member of your team – they are all important.